Being away from my library due to my day job has made me nostalgic, I guess. After a lot of work, I have finally loaded the books in my library on to Goodreads, with ratings for each one. A picture paints a thousand books – actually, 1,643 of them, according to Goodreads. I think I must also be missing my blogger/podcaster/booktuber interview series that concluded recently. I realised this when I spent last weekend sitting in a big old bookshop here in Dublin talking to myself. So what to do? Well, as I said above, I have now replicated my library on Goodreads and today and tomorrow I will be asking questions of people – including Emma Newman, Peter Newman, Adrian Tchaikovsky and Liz Bourke – at Octocon in Dublin. I feel less lonely already. That’s a beautiful library! Where is it? We left our library in Hannover when we moved to Paris and I missed it a lot! Now we’re back and the library is in pure chaos!! It has been nice, but some major rearrangement is in order. We need to integrate new acquisitions… So you’ll be returning to Italy eventually? Have fun at Octocon! 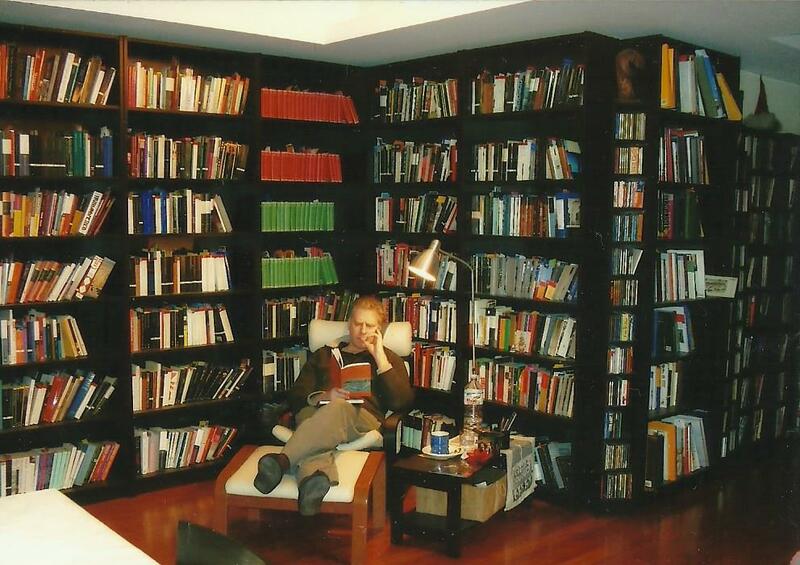 Stuart, you really must get your lovely dusty books and shelves shipped to Dublin, there is no compensation in putting them all on anything else, even Goodreads! You are right, June, but I would need a very special licence to get that amount of dust mites through customs!